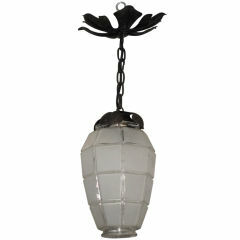 This is a larger version of the famous Josef Hoffmann Palme. Material used is brass in any finish, crystal-glass. Custom-made production at the Woka Lamps Workshop in Vienna. Additional information: Height: 120 cm (47.24 inch). Ø: 100 cm (39.37 inch). Weight: 45 kg (20.45 lb). Sockets: 20 x Edison screw sockets E12/E14 for incandescent or LED. Power: max. 20 x 60W. All components according to the UL regulations. 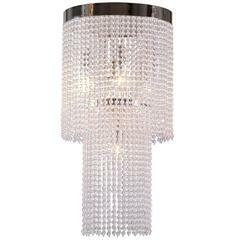 Variation of the great Palme designed by Josef Hoffmann in about 1918 Different Variations of the Chandelier are available - see our Pictures below Total drop custom made. 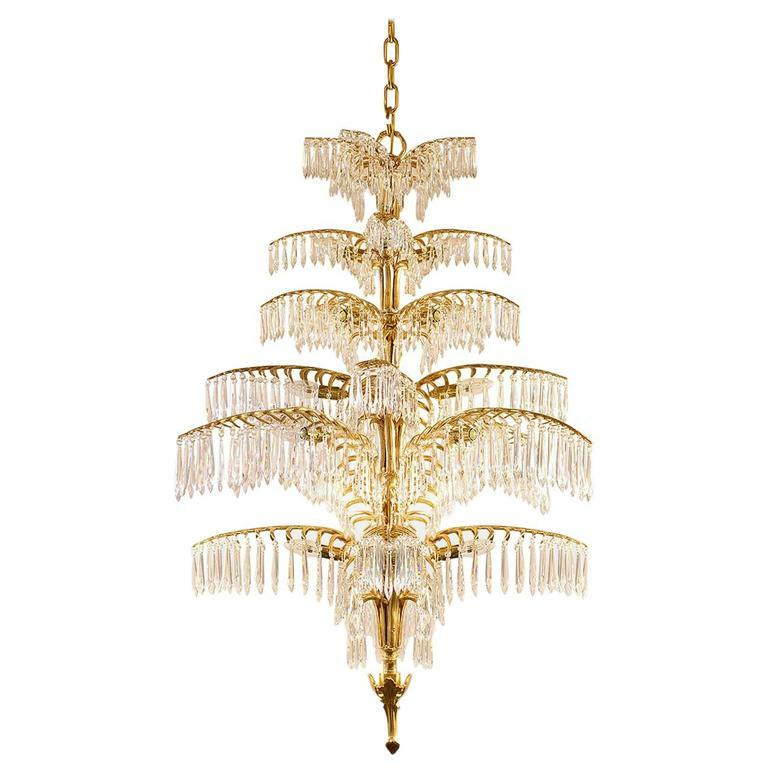 Magnificent chandelier in solid casted brass. Extraordinary elaborate finishes. Rich hangings with hand-cut crystal glasses. Surface either brass, patinated, chrome et cetera. 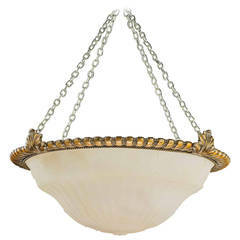 A gilt bronze Plafonnier, the dished milk glass centre shaped and with ribbed decoration. RR.